The Dubuque Food Pantry is the BIG Winner in '19! Since 1990, young people have been leading the charge and inspiring others to collect dollars and food weeks leading up to the Big Game. These groups give 100% of donations to local charities. 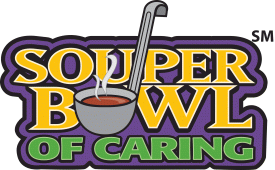 On Feb. 3rd, FPC beat last year's total raising $755 and collected 172 nonperishable items making the Dubuque Food Pantry the grand winner of FPC’s Souper Bowl of Caring! Way to go!!! From youngest to oldest, we claim these promises of Scripture and seek to embody and share them as the body of Christ in the world. 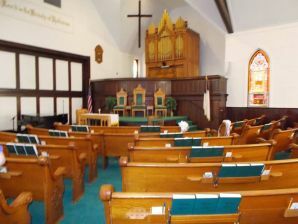 We welcome you to join us and experience God's love for us in Jesus Christ. We gather for worship every Sunday of the year at 10:15AM and celebrate the sacrament of Holy Communion as part of worship on the first Sunday of each month. Our web page is an invitation to you to come and see for yourself what God is doing through the ministries of our community of faith. If there is any way in which we might minister to you or help you learn more about the life and ministry of Christ's people called "First Pres," please give us the opportunity. We rejoice! God is at work among us!